Barn Door Ornament that you can personalize by writing the name on the banner. 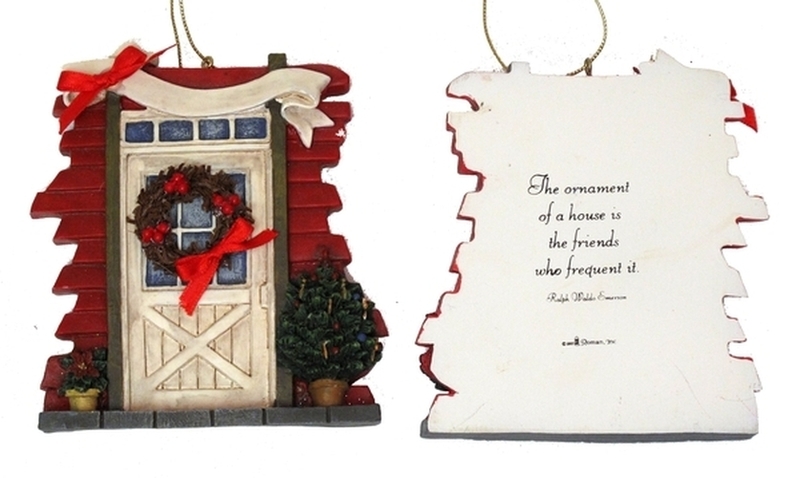 Quote on back 'The ornament of a house is the friends who frequent it.' by Ralph Waldo Emerson. Measures 4"H x 4"W x .5"D. Resin.